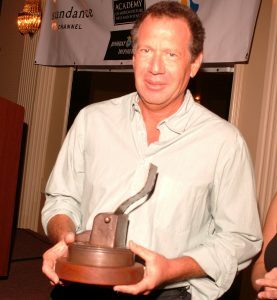 When Garry Shandling was a young comedy writer he got into a near fatal car accident. 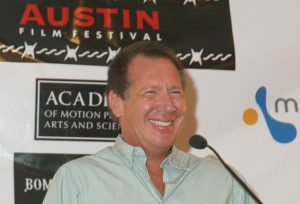 As he was preparing to die, he heard a voice asking if he was living the life Garry Shandling really should be living. He realized he wasn’t — and he decided to change it. He became a stand-up comedian. He worked nightly at clubs around Los Angeles. At the same time, I was an econ major, and had only dreamed of writing; I didn’t realize one could do it professionally. But, in March of 1980, when I was 19, Garry was headlining (for $50) a show at the UCLA Comedy Club, where I was performing with a group of other student comics. Garry approached and asked if I wanted to hear the truth about my set. He pointed to two jokes in a 20 minute set — two jokes — as evidence of the fact that I had a future in this if I wanted it. The rest, he said, I could discard. He talked about the importance of voice, of attitude, and about trusting myself. He then asked if I’d be interested in writing with him. He not only was the first to tell me I could pursue it — he introduced me to the person who gave me my first job. He hired me a few years later on his own show. And years later still, he spoke at my wedding. Halfway through the wedding speech, Garry walked off. Why? He’d just gotten a big laugh, and didn’t think he could top it. But don’t get me wrong: unlike most comedy writers who kneel at the altar of The Joke, Garry was the opposite: break a story with Garry, and you’d think you were writing a drama. “Where is the truth? What is the emotional core?” He never worried about jokes — the jokes will come if the character is lined up. He was a stickler for character — on the page, on the stage, and in life. Especially in life. And while no one who knew him would ever claim that Garry didn’t wrestle with demons, it was actually that wrestling that became Garry’s defining struggle. Meaning: for Garry, ultimately, he found peace in the never-ending search for peace. A kind of peace, that is. An acceptance, perhaps, that this constant state of “not-knowing” was, in fact, the only place he could actually, meaningfully, reside. And so while I don’t think that Garry ever achieved what any of use would call “peace,” I do think he achieved meaning. And purpose. And a lot of that came from his relationship with other comedians — like minds and souls — almost all of whom have similar stories of Garry’s incredible selflessness when it came to guidance, professional and personal. Garry was my first — and my most important — mentor. But I wasn’t the only one. Comedians, writers, actors — hundreds have stories of Garry sitting with them in all night punch-up sessions; or taking long walks and talking about life. In fact, there are so many that, ultimately, even more than the groundbreaking television shows that he created and starred in, Garry’s true legacy will be in the many lives he so generously guided. ED SOLOMON began his career as a joke-writer and stand up comedian. He subsequently went on to write plays, and then the screenplays for Bill and Ted’s Excellent Adventure, Bill and Ted’s Bogus Journey, Men in Black and Now You See Me, among others. He was also a staff writer on It’s Garry Shandling’s Show. He is currently working on Mosaic, a ten-hour HBO film directed by Steven Soderbergh.